Click here for our wide range of new agricultural machinery and implements for all your farming needs! Click here to find a 2nd-hand tractor or implement today! MASCOR stock a wide range of NEW vehicles from VW, Chevrolet, Opel ISUZU and Toyota. Looking for something more affordable to suit your budget? Click here to view our used-vehicle department. Throughout the world, no matter where you go, there is an industry that strives to fulfil the one basic need that unites every living creature. That need is sustenance and the industry is agriculture. It is in this industry that Mascor has its roots firmly planted and, as this industry is known for hard work, solving of challenges and working with all the variables nature has to offer, Mascor has adopted a unique way of incorporating these principles in the way we do business. Mascor is now one of South Africa’s leading suppliers of Agricultural Equipment. It all started in 1967 in a town called Kranskop when a small parts- and service-centre was started by three partners. Mechanised Agricultural Supplies (MAS) was founded and, in 1968, became the John Deere dealer for the Greytown region. The company relocated to Greytown and the first steps were taken in building the company that Mascor is today. Through organic growth and strategic acquisitions, MAS expanded rapidly and, in 1991, Pannar Seed bought the controlling shares in MAS and the name was changed to Mascor. Further growth over the years has seen Mascor become the largest supplier of agricultural equipment in KZN and the third biggest John Deere dealer in Africa. Today, Mascor has 25 outlets throughout KZN and Eastern Mpumalanga, consisting of 15 John Deere branches, 5 vehicle franchises and 5 fuel stations. 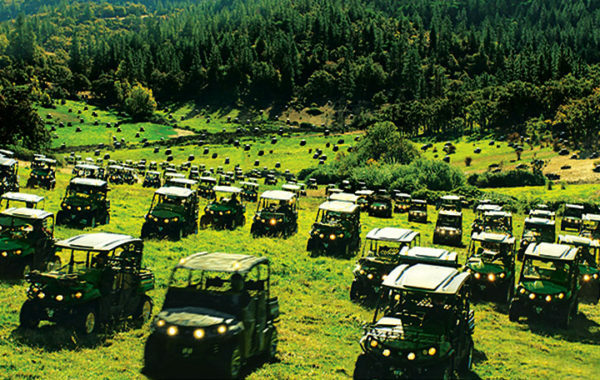 More recently, Mascor acquired the John Deere franchise for Uganda and Kenya in East Africa. Operations started in Uganda in October 2014, and in Kenya in May 2015. This marked the first official business for Mascor outside of South Africa. We employ more than 500 staff members and believe in the power of positive people. The company is a proud member of the Plennegy Group of agricultural companies. With our feet planted firmly on the ground, Mascor continually strives to add value to the business of our customers and live true to our slogan of Performance that Endures. The Prices featured on this website are based on the last available update and are subject to change without notice. All pricing will be confirmed by our vehicle dealerships at the time of purchase.